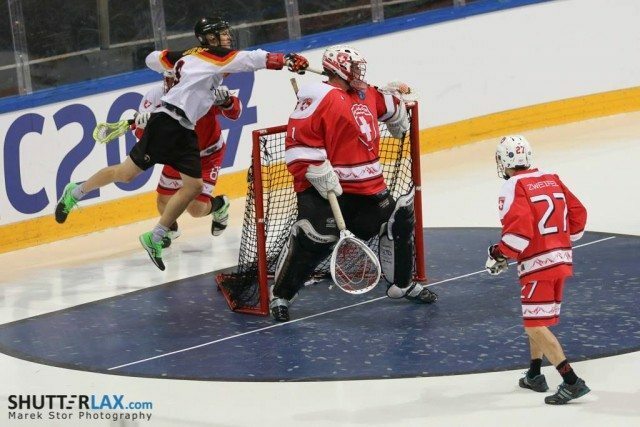 This month saw the first-ever holding of the European Box Lacrosse Championships (EBLC) in Turku, Finland. If you’re a box enthusiast or a lacrosse fan whatsoever, this shouldn’t come as news to you. If it did, that rock that you’re living under obviously doesn’t have wi-fi. The games were available on a streaming site called FanSeat.com. The first month of membership was free, which is perfect for a ten-day event! The site carried every one of the games held between the 14 attending nations competing for the top spot. One team walked away the victor, as is the case with most championship tournaments. Sure, there was one clear winner hoisting hardware when all was said and done. Yet, there were a number of other parties that walked away with almost as much to show for their efforts. In addition to giving the champions their due credit, I’ll be going into detail as to who else came out on top in this historic event. All congratulations to the winners of the first ever European Box Lacrosse Championships, Israel! Brilliant performances on defense and absolutely ridiculous saves coming from the big, evil man between the pipes propelled the Israeli team past all opponents in their undefeated conquest of the tournament. As silly as it might sound, I’m attributing a lot of the success this team enjoyed to the ability to count to five. In addition to avoiding the dreaded “too many men” penalty which is an automatic 2:00 in International Box Lacrosse, the Israelis really stayed out of the box almost entirely. The issue of too many penalties plagued many teams, which contributed to the early exits of teams everyone really saw going further like England and Ireland. This is Israel’s first international championship. A blue-group finish at the World’s in 2014 was followed up in 2016 with a second-place finish in the European (field) Championships in Godoooolloo, Hungary. My favorite part about this team is the simple fact that 90% of the roster is the core group that we see everywhere. Bergman, Mahler, Friedman, and the good ole boys. These are the guys playing with Goldstar Tel-Aviv in the Ales Hrebesky Memorial, and they’re the guys who were there for the LASNAI tournament on the Onondaga Nation. With the 2018 World Games coming to Netanya, Israel, this is a huge win for the boys. I wouldn’t have called it a “must-win” beforehand, but now I see the momentum that Israel Lacrosse is carrying. I think their efforts and enthusiasm for the games set for next July has never been stronger. The Championship, 8-7, win over the traditional box powerhouse, Czech Republic, is a game I’d highly recommend going back and watching. It was one of the best box games I’ve seen in a while. Congratulations to Israel and our good buddy, the godfather of Israel Lacrosse, Scott Neiss! I’m not going to say any more nice things until Scott gets that box of gear out of my parent’s basement. Second biggest winner has got to go to the Swiss. I don’t recall a single conversation I’ve ever had regarding the Swiss program with anything other than praise for their improvement. We’re seeing not just a small core of guys who do everything. I’m seeing new faces and competition for spots. The Swiss program is much bigger than the twenty-something guys who dress for any given tournament or game. There are ten guys who didn’t get the nod, and they’re working like crazy to get the chance the next time, thus breeding competition and improvement. Switzerland’s one loss came to Germany, who ended up finishing fourth overall. In that game, the Swiss never lost any of the four quarters by more than a one-goal deficit. The ability to hang tough with a program that is easily ten years more experienced in box lacrosse and a nation with roughly two hundred club teams is massive. Awesome efforts were complimented by the brilliantly casual coaching styles of coaches Brian Tyack and Clydesider Iain Murray. The Swiss impressed me in Denver. Switzerland then impressed me in Godddddollloooo last summer. With the Worlds just around the corner, I’m predicting the Swiss are finally going to find that next gear. The Swiss have been inching at upsets in the Ales Hrebesky Memorial and they almost knocked us off in the Mencshner Cup. Calling it now… someone is going to lose their seat at the adult table in 2018. I’ll go one step further and double down. 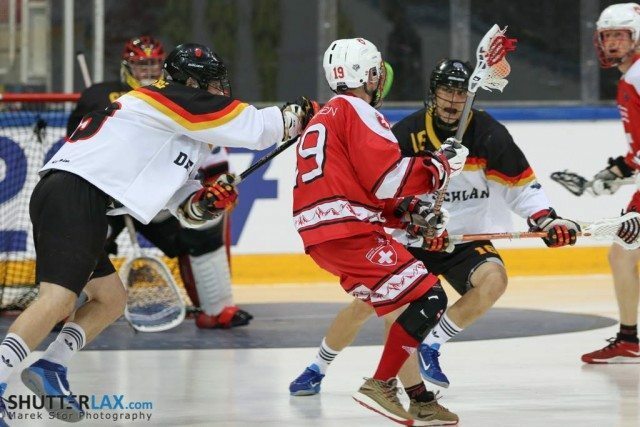 Switzerland will finish top 8 at the WILC in British Columbia in 2019. We can’t publish this article without it giving the due thanks to the combined efforts of the host nation. The Fins put on a world-class event and have set the bar that much higher for all FIL and ELF events that will follow. I wasn’t on the ground for this event, unfortunately, but the praise was radiating from this event across the globe. Taking one look at the beautiful painted floors told you enough about the event. No expense was spared in the planning stages of this championship. Following a reoccurring theme, a monster thanks to one of the chief organizers, Clydesider Tuomas Tilkanen and his merry bunch of workaholics. From what Tuomas tells me, Turku was elated to have these games being played there. Finnish national television channels played all of Finland’s games on primetime across the entire country. This wasn’t Finland’s first rodeo. The U19 games were held in Finland in 2012. Now there’s two international tournaments under their belt, a strong national league, and excellent coaching from some of the best players that lacrosse has ever seen. 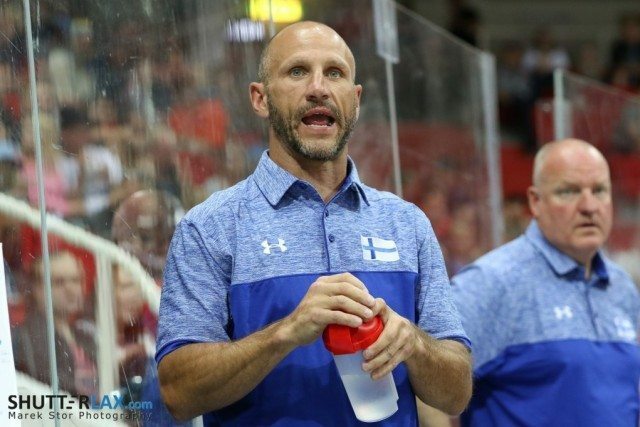 Under the helm of Tracey Kelusky and Neil Doddridge, the sky is the limit for lacrosse in Finland and the region as a whole. Finland finished in a disappointing third place, matching their impressive Gooddollloooo performance last summer in the field Euros. Saying that a third-place finish is a disappointment is a credit to the Finnish program. This was a team that came in with eyes and hearts set on a gold medal. 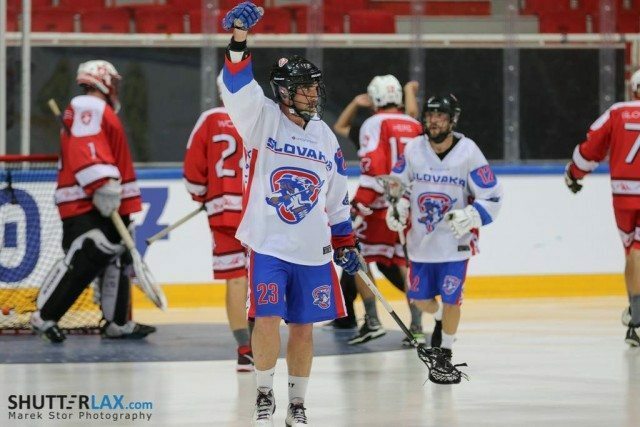 I think I can speak for the majority of knowledgeable international box lacrosse minds when I say I had them finishing in the top two with the Czechs. Welcome to the party, boys! The Dutch team was the only program that I had not previously seen play box lacrosse. 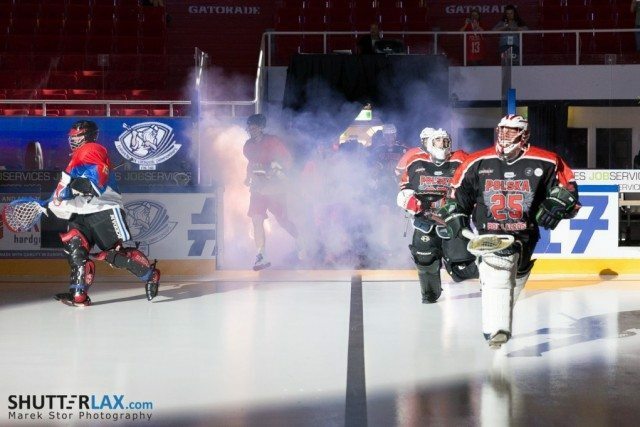 While this was the first sanctioned box championships for a number of teams, this Netherlands team was the only real program that hasn’t been present at all the regular box lacrosse events in Europe. Having said that, these boys battled. Two one-goal losses to a greatly improving and seasoned Polish program added two L’s to their record. Yet, the experience gained in those two games alone was huge for the program. The highlight of the week for the Dutch came a day after their, 16-11, loss to Sweden. 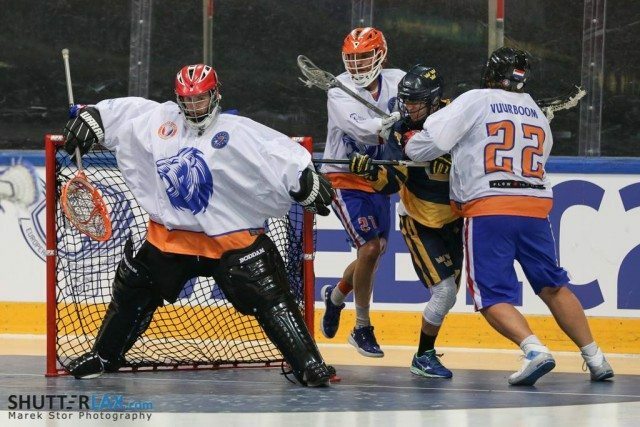 Rebounding and learning from that loss the Netherlands box boys got their vengeance in a, 12-10, battle to get their first international box lacrosse win. Well done guys, and I hope to see more of you! Thanks to the live stream and the work of our gracious host country, Finland, we all got to see these amazing games unfold in HD. I sat and had my breakfast every day for a week while watching the best box lacrosse players in Europe go at it. The color commentary and play-by-play by Stephen Stamp and Rob (I don’t know your last name, sorry!) was every bit informational and factual as it was hilarious. Maybe it was the nicknames that players were getting (some deserved, some really really deserved), maybe it was the interesting guest color commentary guys from Ireland, Finland, and others, or maybe it was just a wacky brand of lacrosse humor that only a few of us find hilarious. All together, I really enjoyed watching all these games. It wasn’t just me. All of my group chats with my teammates from all over the globe were active. We were making predictions and asking if the other guys saw this goal or that hit in real time. It was like sitting next to your buddies and watching without having to smell them. It was great. We posted a bunch of clips on our Lacrosse All Stars social media accounts, and a number of other outlets were doing the same. It’s always a fun time of year when you get to see ex-girlfriends’ weddings and the whining of your quasi-high school friends drowned out on social media with a flood of clips and pictures of the greatest game on Earth. Once again, I’d just like to tout the success of this event, and any of those who actually attended will be able to speak volumes more than myself as to the tournament’s true atmosphere. We’re at a point now where we’re having at least one championship every summer. This summer we had two of them back to back with the Euro Box and the Women’s World Championships in England. We’re getting bigger and better and it’s only going to get bigger. This is a wave that we all can ride. If you love this game, it’s going to love you back. Plus, if you’re not the greatest player, like me, or you’re white-bread American and don’t really have any heritage recent enough to get in with any one national program, like me, there’s still room for you. That’s my favorite part. I can’t speak for ten or twenty, or even five years in the future. For all I know, we might all be out of the job if this thing keeps growing like it has. For right now, it’s still one degree of separation between you and any lacrosse player or enthusiast in the world. If you want to get involved, pack your bags and let’s ride this wave together. The future is bright, sure. I always say that. What I don’t say as often as I should, is that today is a bright and sunny day as well. We’ll be doing it bigger and bigger in five, ten, twenty years, sure. But we’re doing it awfully big right now as well. Keep it up. The real guys and girls out there growing the game, keep it up. I love it. To view more photos from EBLC 2017, we encourage you to check out ShutterLax.com!